CAT is a competitive exam aimed at shortlisting promising students for admission to management courses at numerous B- Schools in India, including the group of 20 IIMs. The CAT exam was developed by Indian Institutes of Management in 1950 as a paper-based test. Over the years, CAT has evolved into a Computer Based Test and has undergone a multitude of other changes, in terms of pattern, the number of questions, and duration of the exam. CAT 2017 will be conducted by IIM- Lucknow, and is likely to be held in December 2017. The application form for CAT 2017 is expected to be available by the end of July 2017. 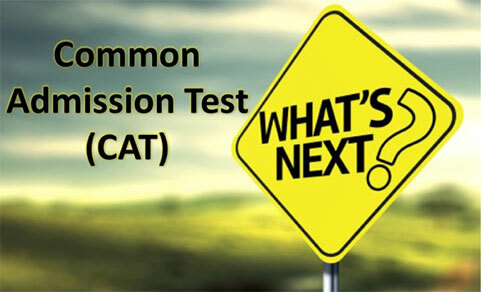 The CAT exam structure and pattern is reviewed by the CAT convening body every year to ensure that the exam structure is effective in achieving its objective and that the questions are not repeated. For the past few years, a constant concern that has dominated the CAT exam is regarding the reputation that CAT exam syllabus and pattern provide an undue advantage to students from the engineering background. In a bid to promote greater gender diversity and allure more students from non-engineering background, this year, it is widely speculated that IIM- Lucknow, may overhaul the CAT exam image by giving CAT 2017 a makeover in terms of not just structural changes in the exam but also by introducing some relaxation in the selection criteria for admission to IIMs. Career2Next Orbit has summarized an overview of some significant changes that have been implemented over the past five years in the CAT exam pattern, and the overall structure of the exam to promote academic and gender diversity on B- School campuses. The changes that were introduced by IIM- Calcutta in 2011 were retained by IIM- Kozhikode and IIM- Indore while conducting the CAT 2012 and CAT 2013 exam, respectively. Initially, there were three sections (Quantitative Aptitude, Verbal Ability, Data Interpretation and Logical Reasoning) in the CAT exam but in 2011, IIM- C reduced the number of sections to two, without making any changes to the total number of questions. IIM-C integrated questions from Data Interpretation and Logical Reasoning to Quantitative Aptitude and Verbal Ability sections. There were 30 questions in both the sections to be solved in 140 minutes. This change provided relief to the test- takers as now they could focus on any two strong sections to qualify in the exam. CAT and IIFT dates clash: What Next? MBA Aspirant pool: Will 2018 see a peak, valley or a plateau? IIM- Indore conducted the CAT exam for a consecutive year in 2014. This time, IIM- Indore introduced some substantial changes and increased the number of questions from 60 to 100. The sectional time limit was also removed and now candidates could freely move between the sections. The total duration of the test was increased to 170 minutes. The testing window was reduced from 20 days to 2 days. IIM- Ahmedabad convened the CAT exam in 2015 after a gap of 6 years and totally revamped the structure of the exam. The testing window was limited to one day. The number of sections was restored back to three. The DI and LR questions formed a new section in addition to the usual Verbal Ability and Quantitative Aptitude. The sectional composition was also changed in terms of the number of questions; 34 questions in Verbal Ability, 32 in Data Interpretation and Logical Reasoning and 34 questions in Quantitative Aptitude. The feature to move between the sections was removed and 60 minutes (1 hour) fixed time limit was allotted for each section. IIM- Ahmedabad also divided the type of questions into MCQs (72) and non– MCQs (28). Non- MCQs did not have negative marking. The duration of the exam was increased to 3 hours or 180 minutes. They also introduced an inbuilt calculator in the CAT exam. IIM – Bangalore conducted the CAT exam for the first time in 2016 and reduced the number of non-MCQs from 28 to 25. Some other changes in the policy adopted by IIMs to promote gender and academic diversity include introducing questions that don’t carry penalty marks. Most IIMs have lowered the CAT percentile requirement for 1st stage shortlisting, ‘academic diversity weightage’ is given to candidates belonging to non-engineering backgrounds and women are also given some additional weightage to promote gender diversity on campus. In the past few years, the changes in CAT exam pattern, as well as selection criteria for admission has resulted in improved academic and gender diversity at IIMs. These changes in the admission policy reflect on the recently acquired classroom diversity of top IIMs, where candidates despite scoring percentiles below 90% in CAT 2016 exam were granted admission. IIM- Calcutta recorded the highest female representation in its history, with nearly 31% of new students for the 2017-19 batch being female. IIM- Lucknow also recorded a surge with 30.4% women students in the 2017-19 batch. Even in terms of academic diversity, IIM- Ahmedabad established a new high with 32% students from the non-engineering background in PGP 2017-19 batch.